I like that GoLand makes it really easy to jump into Go development.You don't have to worry about setting all the proper environment variables, getting a debugger etc. You download a single application and it manages all of those pieces for you. Because this is is an all in one solution, bundled versions can lag a little behind publicly available releases. A new version of Go might be available, but you can't use it until GoLand is updated to include it. There's a free trial. If you're interested in Go or already writing code in it, Goland is definitely worth a look. We write all of our web services in Go, and Goland is our primary IDE for Go development. I like best GoLand's code complete feature that generates the go code and other code you're looking for as you type it. I also like having a project directory and terminal connected to the same window for code writing. What also great is if you click a key go word the source code for it appears in a separate window. I have been able to create a dynamic web application for a business. GoLand has kept my code files and assets for every project organized and secure. "A fantastic IDE for getting started with Go"
The simplicity of getting set up with a Go environment and start coding. No more hassle installing plugins and getting the ideal starter environment setup. It's probably not as advanced as other IDEs within the suite and it only provides marginally better features over your existing editor with a few plugins. There is no better IDE that will give you everything you need out of the box to start writing Go immediately. A quick and easy IDE to spin up for writing Go applications and services. It allows me to use the IDE when necessary as Go is not my primary language. It helps cut down on some of the bloat in my primary editor by avoiding installing additional plugins for linting, formatting, syntax high lighting etc. - Sometimes changes don't refresh automatically, so I sit scratching head why my latest log statement isn't printing! Ask developers to spend 1-2 days just learning how to debug and set env settings, etc. Will be easier in the long run and would end up in less frustration later on. We provide container management platform based on Kubernetes, which is entirely written in Go. So all software developers use GoLang everyday. GoLand is better and robust than almost every other IDE for Go out there, so it helps us create, test and release features faster. The debugger is really excellent. I also really appreciate the code navigation support. CMD-b for the win. The price is a little rich considering the competition is free. Pricey for an editor... but worth it. Like any other tool, you'll have to invest significant time in learning how to use it. I write code. This helps me do that better. As previously mentioned, the debugger is a great help. Deprecation notices are a very nice touch. The ability to navigate to code definitions is a huge help. Function signature hinting is also really helpful. "GoLand is an incredible IDE from JetBrain"
If you have use one of the other IDE from JetBrain, you will feel just like home. The refactoring tool is, has always, a magic tool, we couldn't live without it. Running golang test could be a bit challenging at first. A little bit of ajustement was needed on our side to be able to run them properly within the IDE. If you are a developper working with Go. Goland is the way to go! GoLand provide us a solid IDE. So developing good software fast is what this software is helping use to achieve. GoLand is a useful software for development, and I am able and would be pleased to recommend it to other companies. Among other apps, GoLand is much more helpful, and is less complicated than other options that are available. The only thing that the company dislikes about GoLand is the user interface at the beginning. GoLand is a great software and definitely recommend. Lots of benefits have been presented with GoLand. GoLand is user friendly, easy to find what I want to localize. It does not allow developer to write bad code. This though looks a cool feature, sometimes makes it difficult for developer. E.g. : It doesnt allow to import library if any of its function is not used or to declare variable if it is not used. In many cases, when developer wants to comment out action over variable or modify it, he/she cannot simply do it. He has to remove that variable from the file, remove the imported statement compulsorily and change the whole lot of code instead of commenting the action line. Go has better QPS than java. So can be be built for systems handling high volumes of requests. "A great tool, fairly new so a bit rough around the edges." It was still in beta when I used it but even then it just worked and I saw myself switching to other windows less frequently and therefore got less distracted. Not as feature rich as say Atom. Some settings need to be hardcoded into a config file. It was still in beta when i was using it so not many features had been rolled out but I am sure thats not the case anymore. Server-side go development using goland. I was working on the backend of a web app and we wrote most of out backed in go. The biggest benefit is in IDE debugging/compiling which saves a lot of headache and time when it really matters. "Best user experience for my Go programming tasks"
Goland is connected with JetBrains ecosystem so it's easy to switch among my preferred programming language. An easy integration with godep and govendor also simplifies the development process. There is nothing to dislike in Goland for me. I love Goland as other JetBrains products and use it in my everyday tasks. If you don't mind to pay about $15-20 for a good IDE - give a try to Goland. I use Goland for writing small web parsers. The speed of development is among the benefits of this IDE. Code linting, debugging tools and git integrations also help me. Auto Completion for Go Langauge, simple to run tests Makes your lifeless demanding with every one of the highlights accessible Popup and Code Generation and Highlighting all that you anticipate from IDE. real-time mistake checking before I go to arrange my code. I found the setup for first use to be somewhat confounding. I needed to allude to a few StackOverflow pages for help as the documentation on gave wasn't the most valuable. utilize Goland for composing little web parsers. The speed of improvement is among the advantages of this IDE. Code linting, troubleshooting apparatuses and git incorporations additionally encourage me. I use it for developing the application in Golang, it's the best IDE I've tried so far, really customizable for all your needs. I've been using go for about 6 months now. I have used different text editors and IDEs trying to find the most Go friendly tool. It turns out that out that this one is the one that has the most features a go dev would need. The only thing I dislike about it is the time it takes to launch the program. Other than that everything else is just perfect. Give it a try and improve certainly sure you will switch to it as your primary tool. I build backends with go. This tool has speed up the development process almost 40% I would say. I like having the IDE provide function suggestions and does real time error checking before I go to compile my code. I found the configuration for first use to be a bit confusing. I had to refer to several StackOverflow pages for assistance as the documentation on provided wasn't the most useful. Using it in school, it really helped in my learning of Distibuted Systems as I spent less time running into errors with Go. "Generally good IDE for go lang"
Most of the short cuts are the same as other IntelliJ products. It works properly and has regular updates with more features. Command line is in editor. It is easy to search and find where objects are used and created. Some short cuts, especially Find and Open are different between Gogland and InteliJIDEA. It's a bit annoying but can load own shortcuts. Would like darker themes or able to upload own themes easier. Would like new features to be shown off. If you're already using IntelliJ, it will be easy. Pricing might be a lot. IDE to use with go language. Auto complete is nice. Popup and Code Generation and Highlighting everything you expect from IDE. If you compare any IntelliJ IDE with Xcode, as of my opinion they are they need more improvements. "Testing it Behavior in this new product"
This software can help the developer changing the name of things even if the code has errors. Super easy to use and easy installation process. Great support team once connected. Slightly expensive, hard to afford on a student budget. Made me more comfortable with code, easy to select partial files which saved me a lot of time. Debugging was super convenient to do myself and not have to outsource. "Smart IDE for go programmers "
Like other products by jetbrain, It provides useful and efficient IDE. 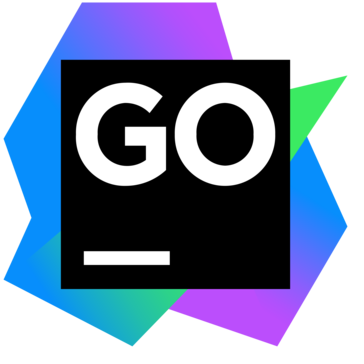 "Uno de los mejores ide para desarrollo de Go"
GOLand is great for writing coding projects in “GO” you have quick access to all functionality and jetbrains is top dog when it comes to their developement. Nothing. Honestly love that my project settings sync between interfaces. Go land provides a nice and clean interface for us to handle our Go development. "Good IDE, albeit confusing to use"
I love the way in wich Jetbrains, and all their IDEs show the code. The black theme it's the best if you spend a lot of time developing. "Out of the box Golang experience"
It automatically configures your workspace for working with Go instantly, so you can start working very soon. There is a startup initialization time when it is indexing the Go library which can be slow if your disk is not fast enough. "Great experience for developing in Go"
Makes your life easier with all the features available. Sometimes it can start using too much memory and become a bit slow. I use it for developing application in Golang, it's the best IDE I've tried so far, really customizable for all your needs. Advanced code completion and version control integration. It is the. best IDS for Golang dev! Developing in Golang to build scalable applications. "Solid product, needs some refinement"
* We monitor all GoLand reviews to prevent fraudulent reviews and keep review quality high. We do not post reviews by company employees or direct competitors. Validated reviews require the user to submit a screenshot of the product containing their user ID, in order to verify a user is an actual user of the product. Hi there! Are you looking to implement a solution like GoLand?